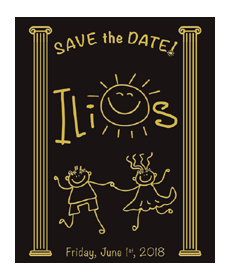 The HLBS invites you to attend the upcoming Ilios Gala which will be held at Le Windsor on Friday, June 1st, 2018. Please join us in a mystical evening honoring ancient Greece. Our Ilios Gala raises the necessary funds to support our Summer Camp Program and this year will also support our Educational Assistance Program which assists families with their children’s educational needs throughout the school year. The assistance provided by these two programs ensures a positive and successful academic year for many children in need. Together we can make a difference in a child’s life and make this year’s event extra special. Should you have any questions regarding the sponsorship options or to purchase your Gala tickets feel free to contact us.